Beckman Coulter Allegra-6R Refrigerated Benchtop Centrifuge w/Rotor & Buckets . 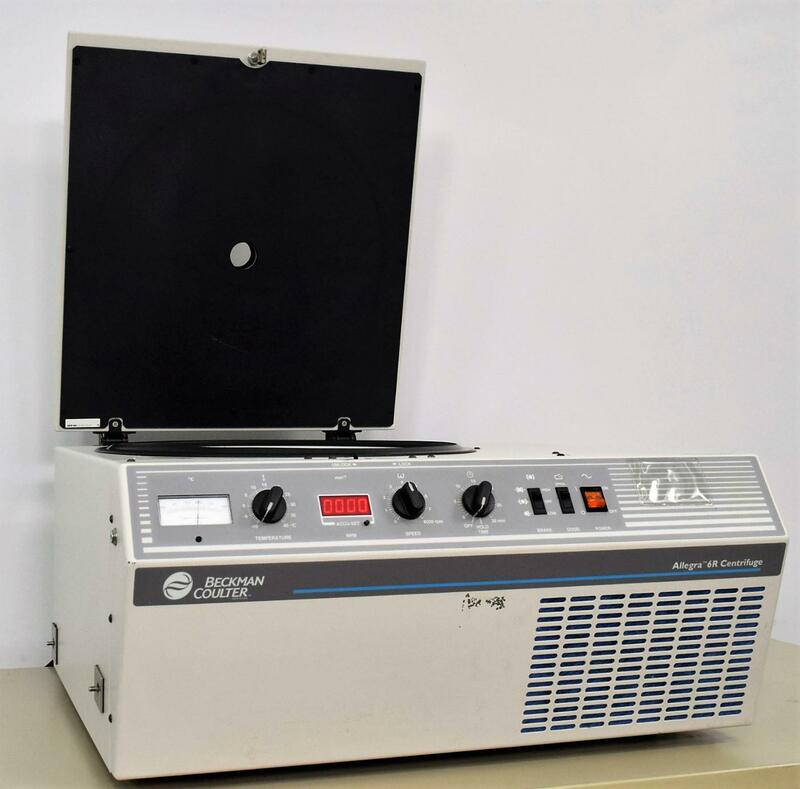 New Life Scientific, Inc.
Our in-house technician inspected and tested this Beckman Coulter Allegra-6R Refrigerated Benchtop Centrifuge , confirming it to be fully functional and ready to go. Technician tested the speed with the rotor that is furnished and reached the max speed of 3,750 RPM (that of the rotor used). At max speed the centrifuge ran and held a chilled temperature of 10ºC, at idle speed it got down to -10ºC.